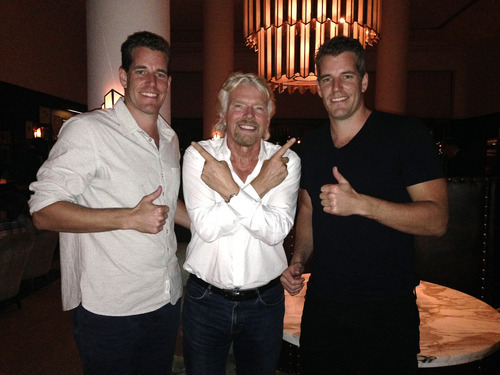 The infamous Winklevoss twins buy their first Virgin Galactic space flight from Richard Branson using their Bitcoin stash. The Wall Street Journal launches a new segment about digital currencies: BitBeat. BitPay opens their Latin America office in Buenos Aires, Argentina. BitScan launch crowdfunding campaign for Android app. UK will treat Bitcoin as a foreign currency with no sales tax on trades. The Danish Bitcoin startup BIPS adds 14 more languages to their service. BitStamp adds more security with two factor authentication. Bitcoin is about to revolutionize the insurance world. Bitcoin can save the news and content business with microtransactions and the blockchain platform. Bitcoin is up to almost $660 on the Bitcoin Price Index. RT @Bitstamp: #Bitstamp is happy to introduce a new security feature – two-factor authentication for #Bitcoin & #Ripple withdrawals.